GASTRONOMY by Joy: Hotel Review: JMM Grand Suites. The worst hotel service ever! There are times when you wake up in the middle of your sleep in the wee hours because of such a disappointment. Waking up in a hotel, that felt like, you were like at home but not in a good way. Will elabirate on that as the story progesses. It all started when my husband wanted us to have a simple get-together with her only sibling for my birthday, his sister's birthday and my daughter's 17th birthday. We've been doing this for a couple of years now, booking a hotel suite/s (that is not so strict in accepting a number of guests) for celebrating family members' birthday, our favorite had always been Linden Suites. This time we wanted to have it on a different hotel. We searched at Tripadvisor for good recommendations and tried to look at Expedia.com for availabilities. My husband's search had been quite futile, aside from Linden Suites, there was only one that comes out, and it's JMM Hotel. 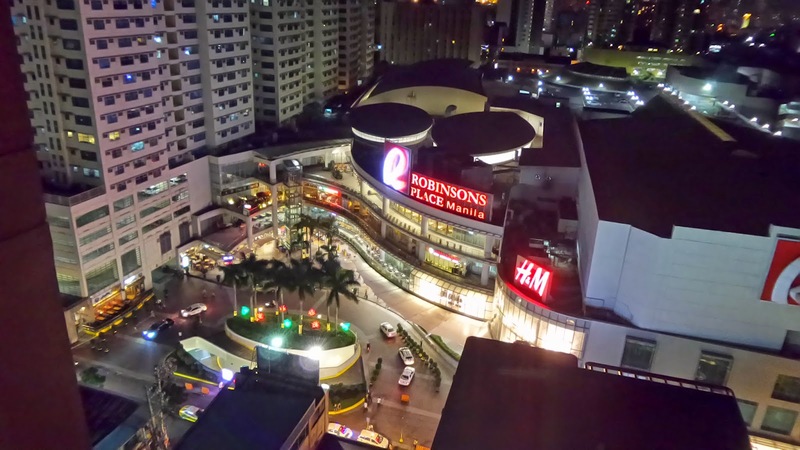 It's located near one of my favorite hotel, Pan Pacific and Robinson's Place Manila. However upon checking, they have gotten bad reviews from their guests and their hotel ratings are really bad. We became hesitant of getting this from Expedia or Agoda. My daughter who goes to PWU, Taft Manila, had been requesting that we push through with the idea as she wanted to have a movie marathon with a couple of her batchmates. We couldn't do it in our home cause we have a dog who's having pups in a couple of days, and we don't want to stress her out. Plus, we love trying out different hotels, makes our lives more adventurous. So we decided to give JMM a visit first and see whether we would like the place. The location is a plus factor since my daughter will be hosting a small group of friends dinner and my SIL will cook for us. It was a surprise to us to find out that their receiving area is located at the 22nd floor of The Birch Tower. Upon getting to the said floor, we were guided to their office, and on the counter we were greeted by a personnel, we then proceeded with our questions since we were really eager to see the room/s. After asking about the three bedroom suite, which was available on that day and on the Saturday, which we would like to book the room, she said we can be assissted to visit the room. After seeing, we decided to get the room already and to make it short, husband withdrew money to pay the whole amount to make sure we get the room for ourselves. After preparing all the things we need for the mini get together, at the room we booked which is at the 48th floor, we went straight to the hotel though arriving late at 3pm. At the office to get our keys, the General Manager of JMM who is an Egyptian wax there, he was the one btw who explained to us that its cheaper to book straight from their website or through them in an instant. However, he mentioned, that they don't allow the 3-bedroom to be booked through Agoda. Now, upon getting our receipt and seeing our booking, he called one of the personnel, Ms. Mitch to assist us. When the lady, skimmed through the receipt, a sorry, sullen expression became evident on her face and I heard the worst phrase a customer would hear from a hotel staff- "I'm sorry Maam..."
Okay, I'm sorry is an unacceptable word in the hotel and restaurant industry, the main reason of your business is to give utmost satisfaction to clients, and are to treat them as guests, no wonder why this aforementioned hotel had gotten poor reviews in Agoda and Tripadvisor.. So the next thing happened, we were assigned to two rooms, one is a two-bedroom suite and the other a one bedroom suite, instead of the one we got which is the three-bedroom suite. Apparently, that one is not available anymore. What! We booked it on a Thursday and apparently they have given the same room to some other customers and to my demise one of the staff have told me that it might have been given to a foreign customer most likely their same nationality, for the owners are Egyptian. I could not even calculate how that would be acceptable, all I felt was that my rights as a consumer had been violated, worst on our birthdays. I have been to a lot of hotels, upscale one and the not-so-high end ones and I have never felt this kind of treatment. However, I just had to calm myself down and not ruin this day for me, and my daughter. So I accepted their offer. I thought it's going to be okay, until the next day, the switch to the living room, where the TVand wifi are connected and the electric stove got busted. So we have to endure hours without TV and internet. Good thing my SIL brought her camping stove with her, thus we were able to at least have breakfast even without their stove.